Often people living with disability, and those who have been out of work for a period of time due to illness, find it hard to get a job. They can experience prejudice surrounding assumptions about their capabilities, or because there’s a gap on their resume. Yet research shows giving a job to someone living with disability doesn’t just benefit the individual; the employer can reap a number of fantastic benefits, too. Fewer sick days and injury claims, better customer relations and a boost in morale due to a diversified workplace are just some of the proven benefits. Claire Marsh, an Employment Services Specialist at Chorus, says that when employers are exposed to the opportunity of hiring someone living with disability (or someone re-entering the workforce after illness) and are educated about what that means for them, they are more able to help them find work. employees available. Claire said it was crucial to raise awareness about disability employment services both with the public and at events like exhibitions and jobs fairs. “The biggest challenge is lack of understanding,” Claire said. “In our communication to employers we find giving them scenarios is the best way to tell the story. Support is always available. If a staff member is struggling, help is available from DES providers, like Chorus. Disability Employment Service providers like Chorus help businesses to employ people living with disability. They build links between jobseekers and employers and are focused on creating sustainable employment outcomes. Financial support such as workplace modifications; assistive technology; disability, deaf and mental health awareness training; Auslan interpreting; and wage subsidies. FACT SHEET – An Employer’s Guide to Employing Someone with Disability. Disability Employment Services providers like Chorus perform an initial assessment and work with customers (those living with disability) closely to address skills gaps and see where they need training to build them back up to independently find work. “Gaps in a resume make it hard to find work; we speak to employers about why that might be. We also discuss government wage subsidies on offer,” Claire said. The next step is getting employers in the same room as applicants, which Claire said helps break down barriers. While some employers embrace the opportunity because of personal experience, Claire encouraged others to be open to the possibility. 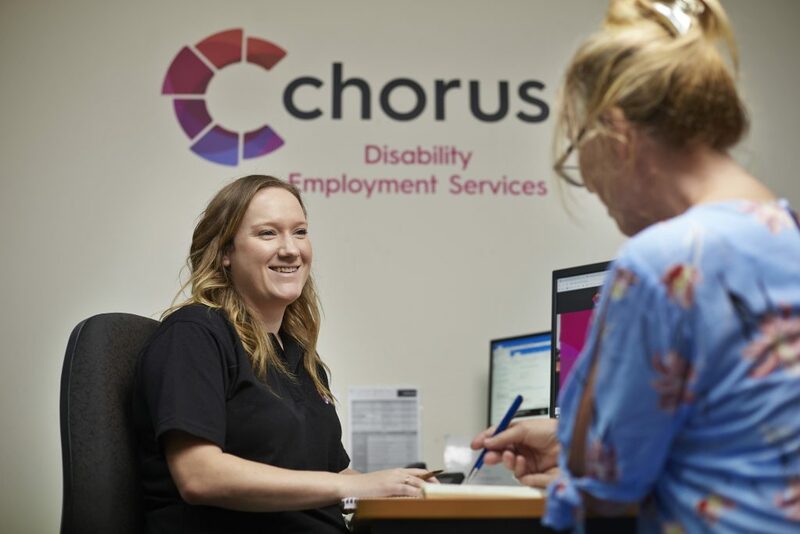 If you’d like to employ someone with a disability or someone who has been out of work for a while due to illness, get in touch with the DES team at Chorus.